Finding your market niche is a crucial first step if you are serious about having a successful business. If you try to be all things to everyone, you end being nothing special to anyone. But many people struggle to find their market niche. 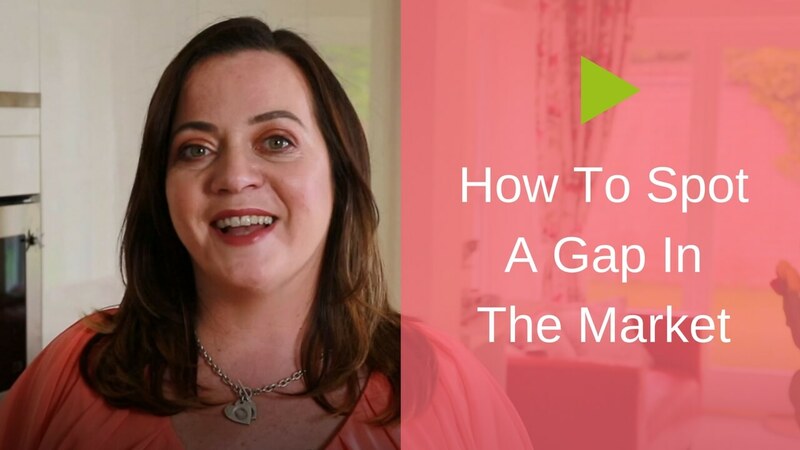 You might be worried that if you make your market niche too narrow, you’ll miss out on opportunities. The good news is, there IS a way to find that ‘sweet spot’ where your unique gifts match up with what the market needs and wants. 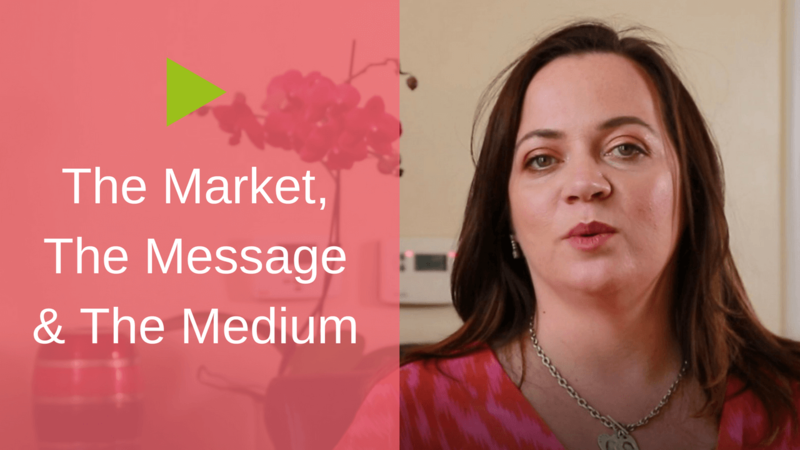 That’s why on this episode we’re covering how to find your market niche. And as always, this is practical advice you can put into action TODAY. Watch this right away to get some real clarity. I’m sure you will have questions and comments about this, so after you’ve watched this video, let’s continue the conversation below – leave a reply. I want to hear from YOU. Great videos Bernadette! I love the bit at the end when you talk about emerging through Fog.It has probably taken us 4 years to get to the point where we are now- that happened by being open and following the signs as they arrived. By looking at the essence of what we do we were able to align that to a niche that really needed our help..
Lovely stuff Bernadette, it always pays to go back to basics from time to time even when we are already in the business. I totally agree Catherine – I revisit these questions often myself. I don’t think we can ever get too ‘advanced’ for these questions! Great Video. I NEED HELP! Stuck in a fog not making progress, been trying for years – can you help? I’m happy to offer you some life coaching if you’d like some help? Hi Debbie – tell me more, where specifically are you getting stuck? Is it narrowing down the niche, or getting people from that niche to buy? Again a power-packed practical&tactical video – thank you Bernadette! What’s your advice if I have multiple niches to serve and each are different, requiring a different marketing & service outlet? Do you recommend I kill my darlings and let go of the others in favor of just one to focus my resources on? Or plod along, juggle and focus on creating systems as I go and hope for a cloning apparatus in the meantime? thanks you for this bernadette and for all the great stuff you release here. Shaklee company, and I also work in the In-Home Senior Care field. At present I am the overnight caregiver for my mother-in-law, helping her to stay in her home. My dearly departed father-in-law, Dr. Bob Holdswoth, had his Ph.d in Chemistry, and worked as a Vice-Presdent for Food Container Research for a number of companies. One of the things he did in his career was to design the Pringle Potato Chip can. He also developed his own water based food can sealants. So that is where some of the family money was made. I am trying to walk in my father-in-law’s footsteps by being a part of the Shaklee company that also does excellent research on their products. Well, after this little introduction, I should end this, and go and write down the questions you had on your video. Thanks for the quote from Frederick Buechner!. God bless, bye for now. With kind regards, Mr. Jim Kramer. P.S. Learn more about me at http://www.facebook.com/OurMiniOffice. Nice video! All true,, I call it Job Creation. I know so many people are waiting for someone else to “give” them a “Job” rather than Creating it! That’s a great analogy Christopher! Really love the video and yes, finding the niche can be like pulling teeth and the building out of the fog is great. working everything (almost chaos) to find the niche. great video! I started a couple of months ago to claim a micro-niche: helping space-challenged apartment downsizers ion Sydney’s North Shore to create a happy home and lifestyle. Everywhere I talk about this niche and how I can help downsizers I get positive feedback and comments. I am now writing a book called Downsize with Style and look for businesses in related industries to contribute. It is very exciting and I feel that I am heading in the right direction. And I am still using a lot of your material and information i learned from you in the SBS programme. Thanks for that! Thanks for this. I’ve been going around in circles trying to define my niche and don’t know if the people I think I can help can pay the money I want. Your tips gave me food for thought. I agree about the fog! As a niche coach I often tell my clients that their niche finds them but it’s critical to step out in faith and read the signs along the path of self-discovery and client interaction. I left a comment over on Youtube but I’d like to say here too that you video helped me immensely. I now understand with laser focus who my ideal client is. Thanks again. Definitely subscribed!